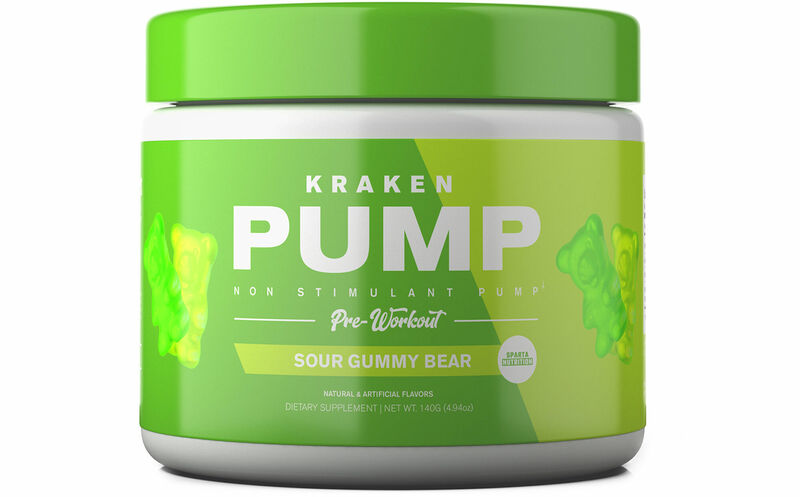 Oct 18, 2017 Sparta Nutrition Kraken PUMP — Release the Pre Workout Pumps! HydroMax Glycerol is a classic ingredient in the pre-workout space, but HydroMax takes it to the next level. While traditional glycerol monostearate offers only 25% glycerol by mass, HydroMax provides a massive 65%, giving you more bang for your buck. Stay hydrated -- the HydroMax in Kraken Pump can help saturate your muscle tissue with water. More water may lead to better endurance thanks to "hyperhydration" and better pumps thanks to "cellular swelling". Remember, the Kraken is a sea monster... treat it as such and drink plenty of water! Alpha-GPC may be the most potent form of choline on the market, which often brings enhanced focus and "mind-muscle" control to your training. But even better, research has shown that Alpha-GPC may improve power output! As a focus enhancer, it may help get you into the mental zone required to survive even the most intense workouts. We threw it into Kraken Pump to make sure you are performing all reps at your best –– and concentrate on each and every one. We believe that every pre-workout should include a cognitive enhancer because training transcends the physical realm. To really succeed in a training session, you have to be there. Body and mind.